BRYAN EATON/Staff Photo. 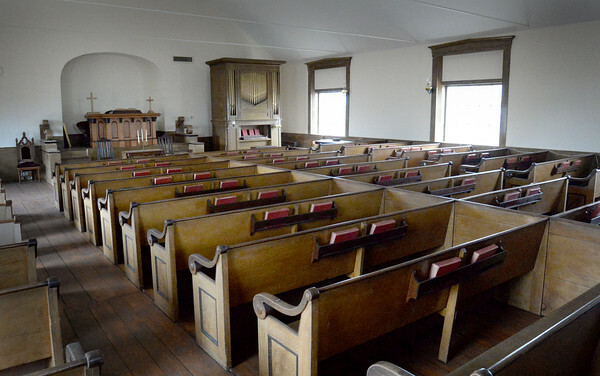 Upstairs at the Old South Meetinghouse in Seabrook was used for religious services, while downstairs was used for civic events such as town meetings until 1954. A warrant facing voters on March 8 is requesting $115,000 for renovations to the bottom floor.